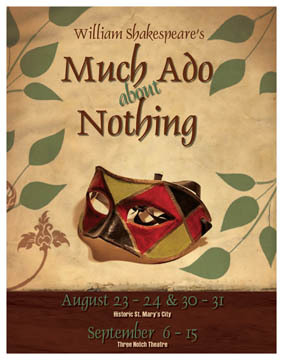 Shakespeare's Much Ado About Nothing chronicles two pairs of lovers: Benedick and Beatrice and Claudio and Hero. Benedick and Beatrice are engaged in a very "merry war," as they are both very witty and proclaim their disdain of love. In contrast, Claudio and Hero are sweet young people who are rendered practically speechless by their love for one another.